I mentioned in my last post of 2013 that I had started pattern testing. Well, I am so lucky to be part of the lovely testing group for Deby @ so-sew-easy.com. Last year, Deby called for testers, and I applied. I was jumping with joy when she answered, telling me I was in! Can you believe that? Especially since she had already mentioned that most patterns would have been designed for knit fabrics. WHAT??!! Have you seen that kind of fabric on my blog yet? No, you haven’t! That’s because I had only tried sewing with it once, and let it go for what I thought to be easier fabrics to work with (that is, woven fabrics). Well, I did buy a few knits a while ago, but never had the courage to sew them. Until Deby asked for testers. I did what I always do when I try a new sewing technique/pattern: just do it. And I sew with knits! Not one, but TWO garments! 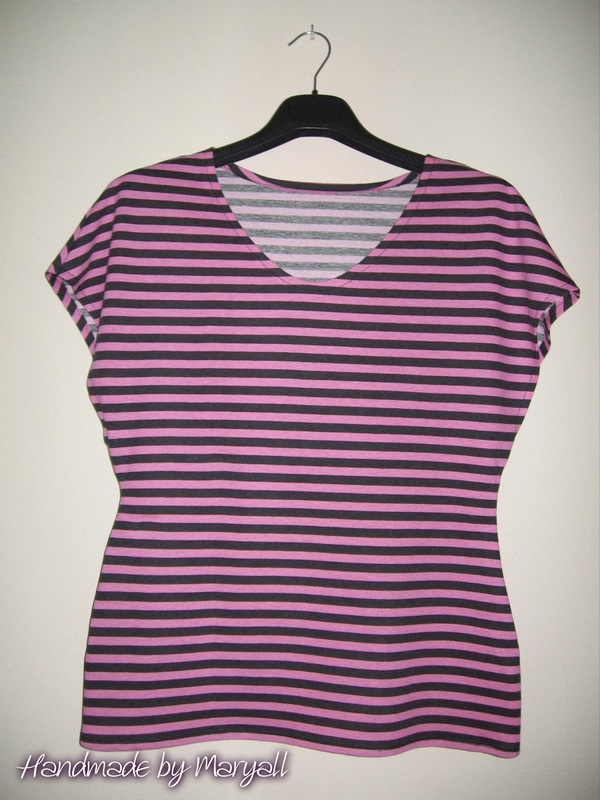 The first one was the Slouchy Sweater. 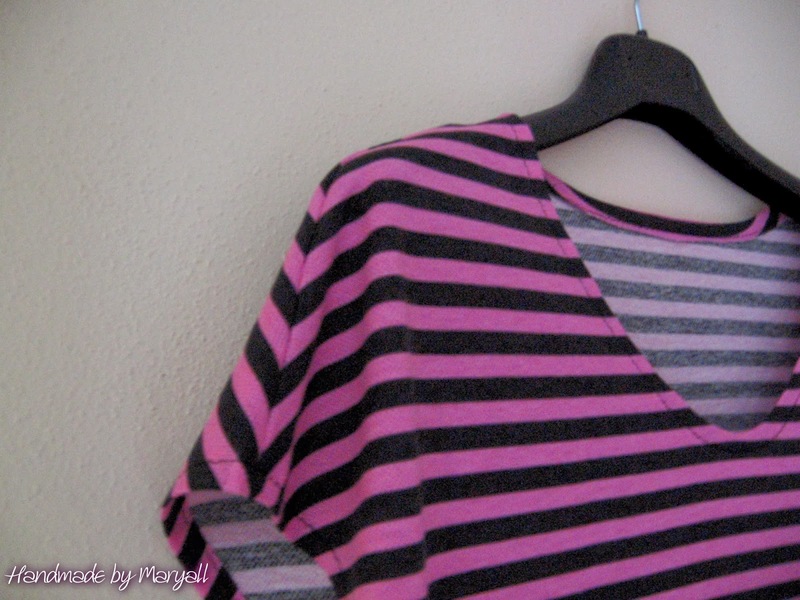 An easy pattern, with just two pieces, and very few seams. Perfect for me! No, I don’t have pictures of me in it – I was ill when I finished it, and it was (and still is!) winter here, folks! 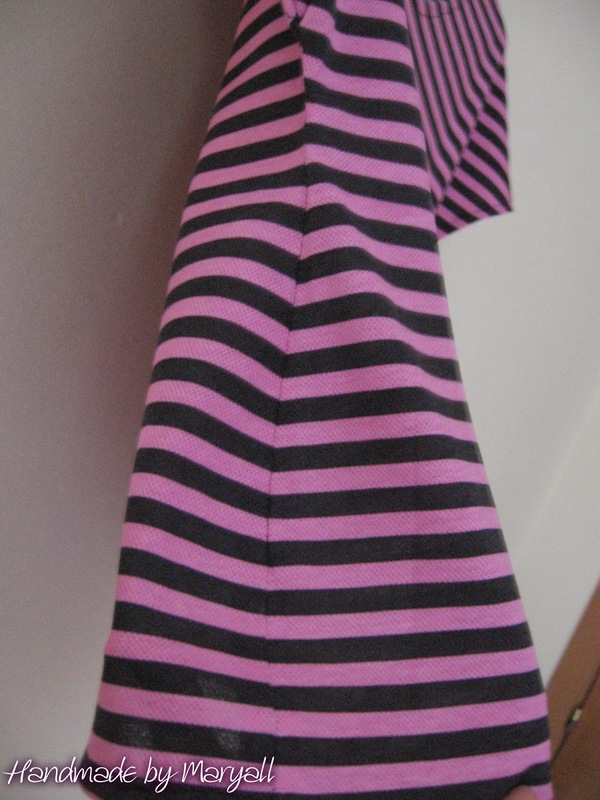 Wow, look at those stripes matching! It wasn’t that hard! The Slouchy Sweater is perfect for a couple of hours sewing, in front of your favourite tv show! No need to worry too much about it, because Deby takes your hand and leads you through either written and video instructions! How cool is that? 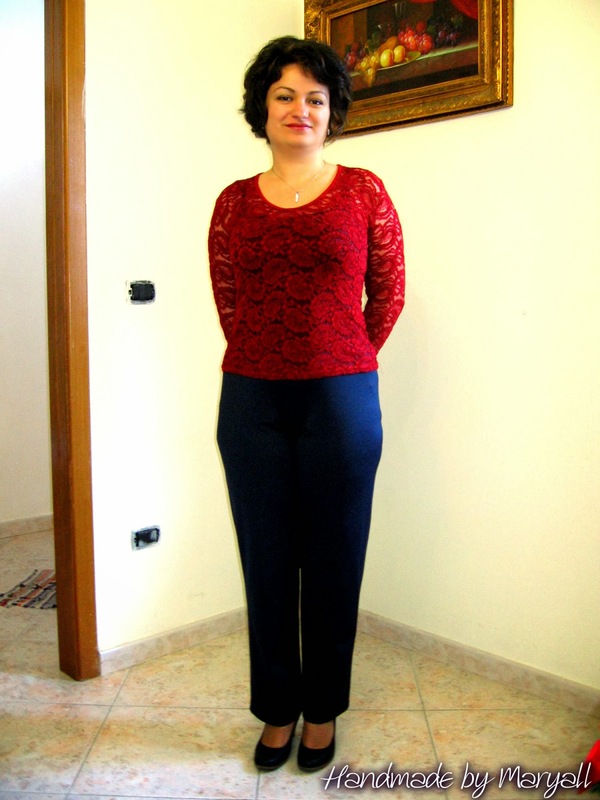 The second project I sew for Deby was the straight leg knit pants pattern. 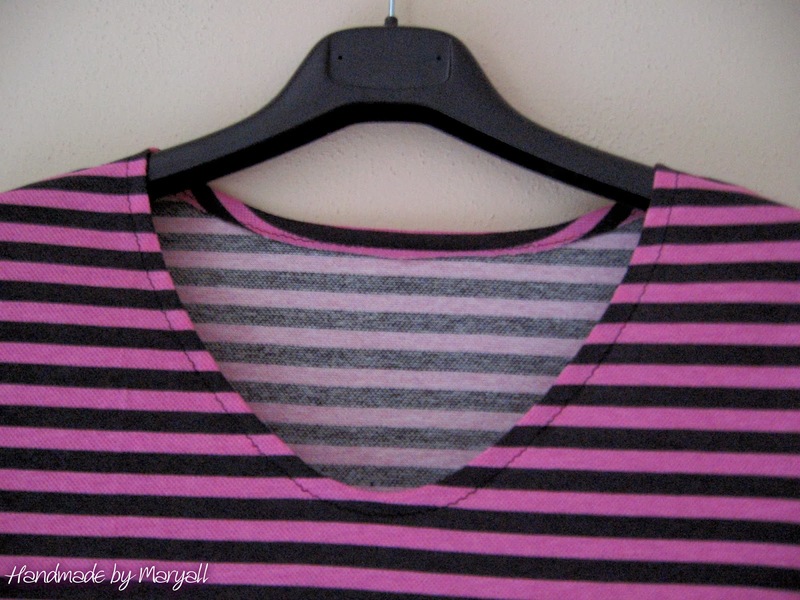 I sew this in a soft and buttery knit, it was a pleasure to work with that fabric! As you can notice, I modified Deby’s pattern. No, there was nothing wrong with it. As for the Slouchy sweater, too, the sizing is perfect! But straight leg pants aren’t my style (actually, I don’t see them flattering me, although hubby did say he liked them and that I could leave them as they were, because they were beautiful). So, I modified them! Don’t you like it, too, when you sew something really easy and quick, and then you have enough patience and time left to personalize them? I do! Again, even somebody who has never sewn with knits before, can tackle this project. There are written instructions, with pictures for each step, and if you are more of a visual learner (like me), or need extra help, there’s always the video that can help you. 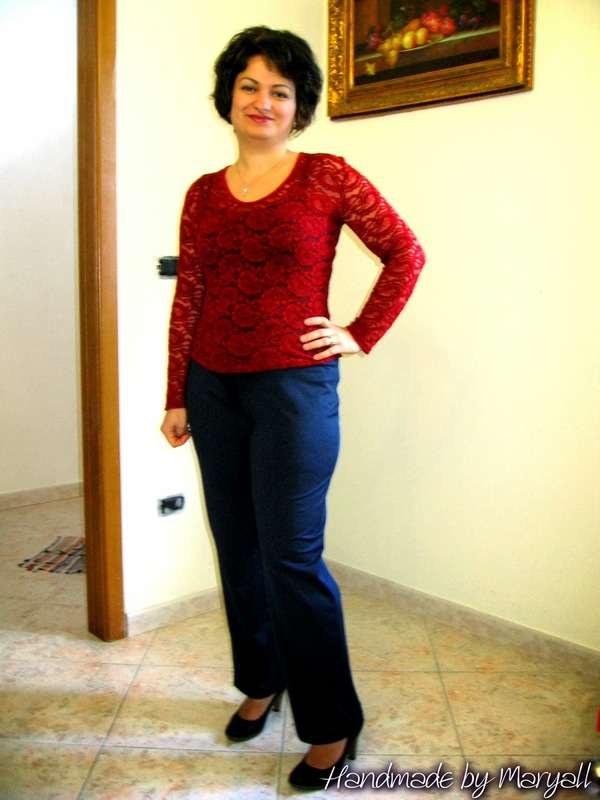 In the meanwhile, this busy woman also released a free pattern, the gathered front top. Can you believe how productive she is? Thanks, Deby, for the opportunity, these patterns are perfect!